Welcome to Hallmark Assisted Living. We are the experts in Bakersfield, California because we personally work with each family member and client to make the transition to assisted living as smooth as possible. Our on-going evaluation of your needs or your family's needs will insure that your stay at Hallmark provides you with the Quality of Life you deserve. 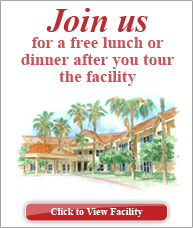 Look at some of the advantages that our Assisted Living Facility provides to you and your family. There is much to know about assisted living in Bakersfield before you can make an educated decision. You do not have to make this life changing decision alone. The staff at Hallmark Assisted Living will take the time to answer your questions. Please take advantage of the information contained in this site or by contacting the staff at Hallmark Assisted Living. ©2019 Hallmark Assisted Living. All Rights Reserved. Website design, development & hosting by TheMarcomGroup.com.